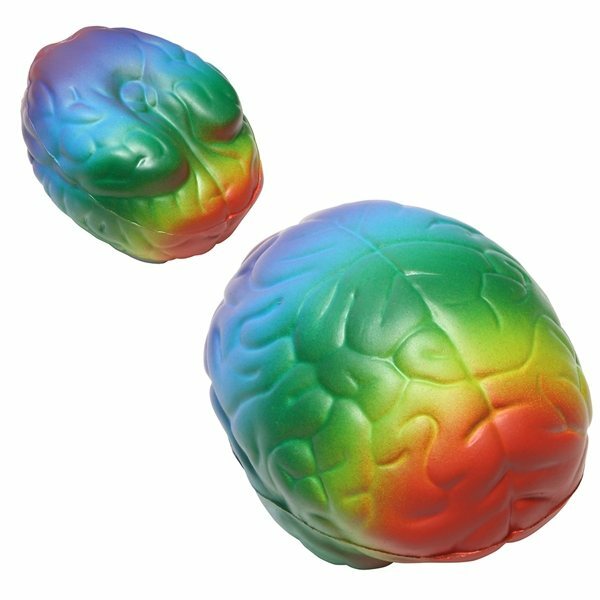 Rainbow color, brain shape stress reliever, 3" x 2 1/4" x 2". My repetition ensured the colors were done how I had asked. I give different color reminders each year to my co-workers and I try to use this same theme with each gift. Lightweight, great size, durable and affordable!! We bought these as Staff Appreciation gifts for our teachers and support staff and received a lot of positive feedback from the staff members. I've always had fun with the products purchased from Anypromo being professional as well as top quality. Great quality - exactly what I ordered.